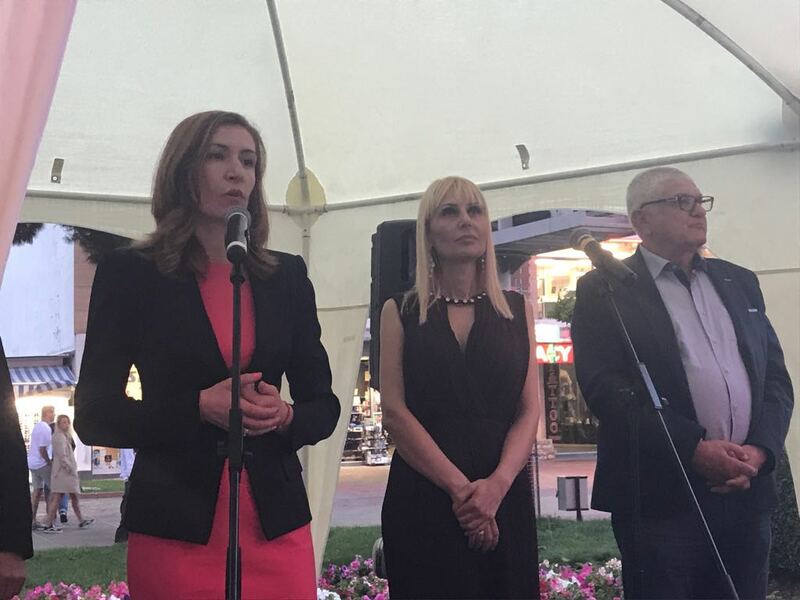 The largest sea resort complex in Bulgaria offers an extraordinary wide range of tourist and support services, Minister Nikolina Angelkova stated at the ceremony for the official opening of Summer 2017 in Sunny Beach. She recalled that in 2016 as a whole overnight stays at accommodations with over 10 beds in the complex numbered over 789 thousand, marking an over 20% increase on the previous year. There were over 5 million overnights (22% increase), and revenues from them exceeded BGN 266 million, also up 22%. A very intensive preparatory period for the high season came to a close and the administration, the business, the local administration and controlling authorities and all interested partners were engaged in it, Angelkova said and added that the implementation of a successful summer depended on all these participants, which gave positive signals. At the beginning of the season the total number of planned flights at Varna and Burgas airports for the period June-September 2017 already exceeds by 8% the number of implemented flights in the same period of 2016. We again expect a strong presence of tourists from Germany, Poland, Great Britain, Ukraine, Czech Republic, France, the Scandinavian countries, Russia, etc., the minister pointed out. She recalled that summer tourism accounted for a major share in the sector and the next several months would determine whether we would have a successful year with estimated growth of 7 to 10% versus the record 2016. In her words, the quality of services and the safety of tourists are above everything because Bulgaria will lose its competitiveness and image. I want to emphasize once again that you can rely on our full support. We are doing our best to update the legislative framework, reduce the administrative burden and consistently address the shortage of staff. Finding a permanent solution to the problem with deficient staff is key for us. With common efforts we managed to adopt the Labour Mobility and Labour Migration Act. Its regulations have also been adopted and hiring of personnel from third countries began, she added. However, in her view, this would provide only a short-term boost to the sector and therefore joint steps with the education ministry are being taken to ensure a direct link between education and business needs. To this end, work is being done on the establishment of a Center for Qualification and Re-qualification of Working Staff. At the same time, the average pay in the sector must be discussed as well in order to keep quality workers, Angelkova commented. She stressed again that control was a factor considered seriously by the administration. Mobile teams of the ministry will carry out checks throughout the season and will act uncompromisingly in case of established violation. The teams include health experts, food quality experts, representatives of NRA, CPC, etc. In operation is the hotline for sending signals about irregularities to the ministry, which can be sent also to a special e-mail address, and the contact details are available on the institutional website. Particular care is provided jointly with the law enforcement authorities for the security of the tourists in most visited areas as is Sunny Beach. About 980 policemen will be transferred to the Black Sea coast and their number has increased from last summer. Most of them will be concentrated namely in Sunny Beach, the minister stated. We will be uncompromising toward anyone who breaks the law, irrespective of whether movable objects, unfulfilled contracts or other violations are involved. The laws of the country must be abided by all – Bulgarians and foreigners, hosts and guests, Nikolina Angelkova specified.